Recent quarter-page displays in local newspapers have advertised The Martha Washington Cookbook, by mail, $24. The headline says "Old Cookbook Reveals Amazing Detail's of Washington's Dining Habits." There is such a relic, but it is not a cookbook. Several annotated editions have been published since the original manuscript was given to the Pennsylvania Historical Society in the 1940s, most implying the book is a compendium of recipes by Martha Washington herself, just as The Martha of our own time has set down commandments for cookery and entertaining. In fact, however, it was already an antique when the young Martha Custis was given it as a wedding present in 1749. It was not a book but an heirloom, a privately bound set of hand-written recipes and domestic formulas from the 1600s. 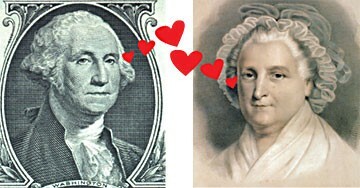 It is doubtful that Martha Washington ever used it, as it was out of date by a half-century when she received it. And, of course, it contains nothing of George Washington's dining habits. The Washingtons, like most of the Virginia plutocracy, entertained freely. Roads were poor and towns sparse in the southern colonies, so visitors to the plantations were occasion enough for celebration. It is from this that we get the famous "Southern hospitality" — the often-lavish display of food and drink to welcome a guest, expected or not. To understand regional distinctions in American cuisine, we look to the major differences between the colonies, remembering that each considered itself an independent entity reflecting the philosophies of its founders. New England was settled by fundamentalist pilgrims who wrestled a meager living from the stony soil and harsh winters — it is no accident that the word "puritanical" means "characterized by rigid morality and asceticism." Pennsylvania, a fairer clime with richer soil, was founded by the equally industrious Quakers. Maryland was a verdant haven for Catholics, unwelcome in Protestant England after the English civil war. The southern colonies were another matter. They were colonized, with royal largess, by the gentry — largely younger sons whose families had run out of land in England, plus assorted hangers-on, most of them ne'er-do-wells. They were lucky. Being utterly unprepared to earn a living with their own hands, the colonists came to the lush tidelands of Virginia at the precise time when the slave trade began to supply a cheap source of labor and tobacco became a cash crop. Virginia cuisine had already assumed its essential characteristics by 1750: the cuisine of a privileged master class wealthy enough to import almonds, oranges, spices and French wines. It fit a style occupied with "the good life" and the leisure to enjoy it. It was also a cuisine predicated on having a large staff of servants (like the upstairs-downstairs configuration of English country houses, where staff might outnumber the family by 20 to one). In this case, need I say, black servants. In any case, the Martha Washington Cookbook, is not a cookbook of the late 18th century. It is a sentimental fraud. Instead, The Virginia Housewife (Mary Randolph, 1824) defines a sumptuous and sophisticated cuisine that shows evidence of African-American influence, as might well be imagined, since blacks did most of the cooking. Mrs. Randolph's prime was the 1790s, a much better slice of time to examine if George Washington is the subject. Unlike Jefferson, Washington took no pains to keep a diary of his meals. We know that good food was plentiful on the plantations. A young tutor arriving from New Jersey wrote in awe of the Robert Carter estate, where by the latter's own estimate, were consumed annually "27,000 pounds of pork, 20 beeves, 550 bushels of wheat, besides corn, four hogshead of rum and 150 gallons of brandy." As condiments: oyster catsup (similar to Worcestershire sauce); tomato or apple chutney; watermelon or cucumber pickles; marmalade of quince, pear, or persimmon; currant jelly; conserve of red roses; preserved figs; brandied peaches; pepper vinegar; and horseradish sauce. Served with Indian pudding, squash pudding, Yorkshire pudding, pease pudding, Williamsburg buns (muffins), Sally Lunn (sweet yeast cakes) and sweet potato biscuits. Accompanied by the following boiled vegetables: asparagus, lima beans, ndian corn, parsnip, potato, black-eye peas and baked beans. At this point, Champagne would be served. Desserts? Omigod — let's not go there. Except to say that ice cream was routine and uncommonly good, probably better than anything we have today, being made with fresh-laid eggs and heavy cream right from the source. Then there were desserts such as floating island and other custards, cheesecakes and all manner of pies, including the legendary "chess pie," containing butter, two cups of sugar and eight egg yolks. And then came spirits — fine rum from the Caribbean, brandy (Washington distilled his own), perhaps whiskey from Bourbon County in western Virginia, later to become Kentucky. Meanwhile, what of the slaves who served up this banquet? The "house servants," as many as 25-30, would eat well from the scraps, though pilfering food from the larder was rigidly prohibited by the butler and cook, who knew their rank depended on their loyalty. So what did most of the slaves eat? Chiefly, cornmeal. Corn was locally grown, thus cheap, with a higher nutritional value than wheat. This became particularly useful to the planters. Washington naively wrote "Should the Negroes be fed upon Wheat or Rye bread, they would in order to be fit for the same labor, be obliged to have a considerable addition to their allowance of meat." Provision of meat for field slaves was meager indeed: dried fish, imported by the barrel; an occasional meat bone or offal from the house; dried lard; or rancid butter. Mostly they ate "hoe cake" — cornmeal mush pasted on the blade of a hoe and stuck into the coals. As late as 1848 Stephen Foster mentioned "hoe cake," in "Old Uncle Ned:"
So he had to let de hoe cake be. Corn alone was an incomplete food, of course, and slaves were denied the most basic of foods: animal fats and proteins and fresh vegetables. They had to earn, steal and invent substitutes. The earning consisted of masters awarding, to hard workers, rejected portions of meat and skimmed milk; the stealing was endemic (archeological digs have provided evidence of not only stolen joints of meat, but bottles of wine and brandy); the inventing involved using their own time to forage, plant, set traps, hunt game and fish. Thus the myth of Southern Hospitality rests on a rotted foundation. Joining George and Martha Washington for dinner meant attending a long tradition of culinary excess at the expense of African slaves. I didn't intend this to be a political statement. That's just the way it was. Take one-fourth of a pound of butter and mix well with one cup of sugar and one tablespoon flour. Beat eight egg yolks very light and slowly beat in one cup of sugar. Combine. Add one cup of milk slowly, and last, the juice of a lemon. Pour into two pie pans lined with rich pastry and bake in a slow oven about one hour or until firm.